Nano Soup, for the people who like a quick balanced hot meal, but also want it to contain all the macro and micro nutrients you need in all the right amounts and ratios and last but not least you want it to be delicious. You would think this is impossible, wouldn’t you? Well, it isn’t. 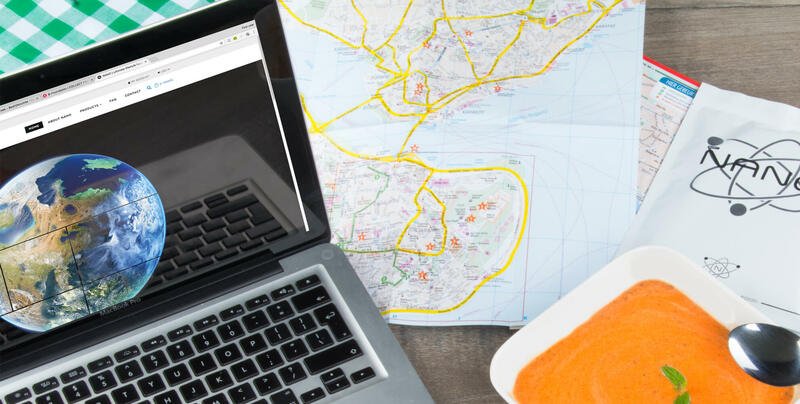 Nano Soup is prepared in just 30 seconds, has all the macro and micro nutrients you need in a balanced meal and above all is delicious! 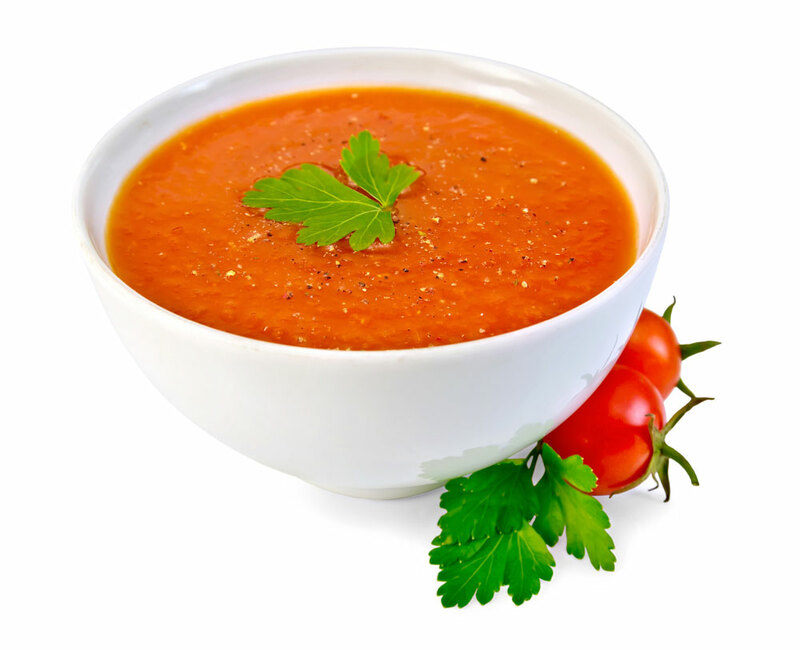 Nano Soup contains exactly 33% of the daily amount of nutrients, vitamins, calories, proteins etc. that your body needs per meal. It’s possible to enhance the Soup with your own veggies or pasta, but you could also consume it as it was developed. The choice is yours! Nano Soup is completely vegan and is ready to be produced in outer space greenhouse facilities. The Soup is also sustainable with ingredients from high quality European sources. How does Nano Soup taste? 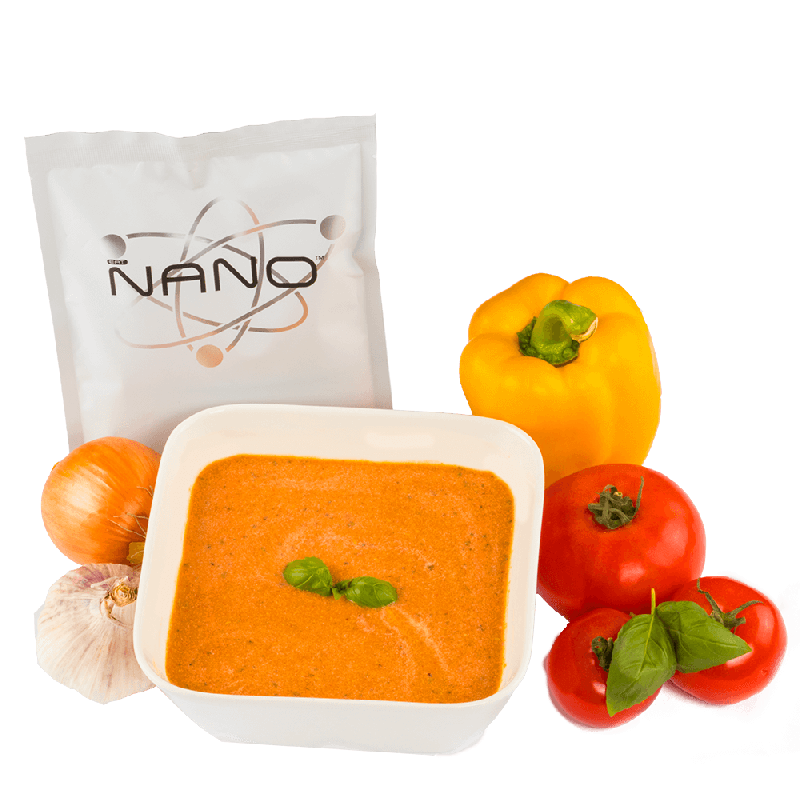 Nano Soup is described as a rich tomato vegetable soup with no chemical flavouring or ingredients. 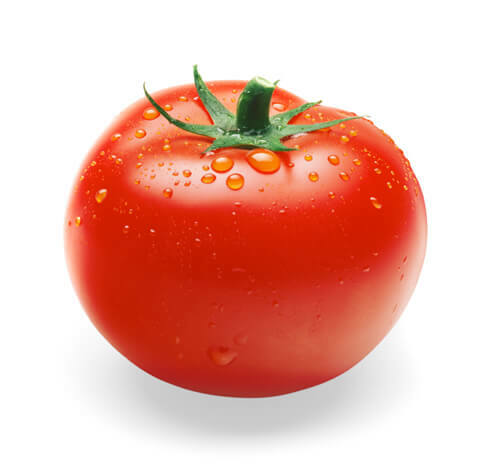 For the Nano soup, we were aiming for a tomato vegetable taste, and the primary ingredient for that is of course tomato! It is also a good source for vitamin C, vitamin K, vitamin A, biotin and molybdenum. Nano Soup also contains regular onions, for taste, along with fibers and proteins. 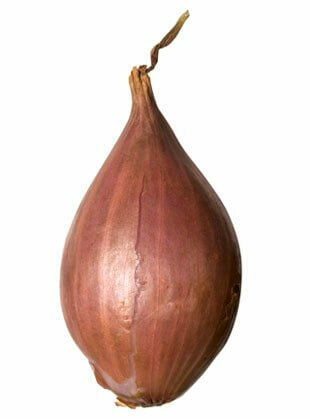 Shallots are a specific type of onion, to give more diversity in taste along with normal onions. Shallots also contain more proteins and dietary fibers than normal onions. 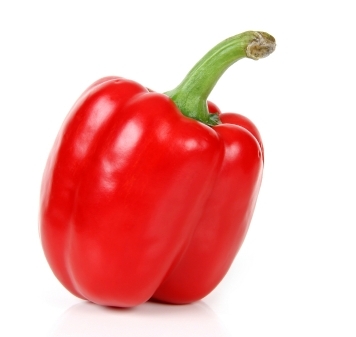 Red pepper, while adding a lovely flavour, is also amazingly rich in vitamin C, while also bringing dietary fibers. 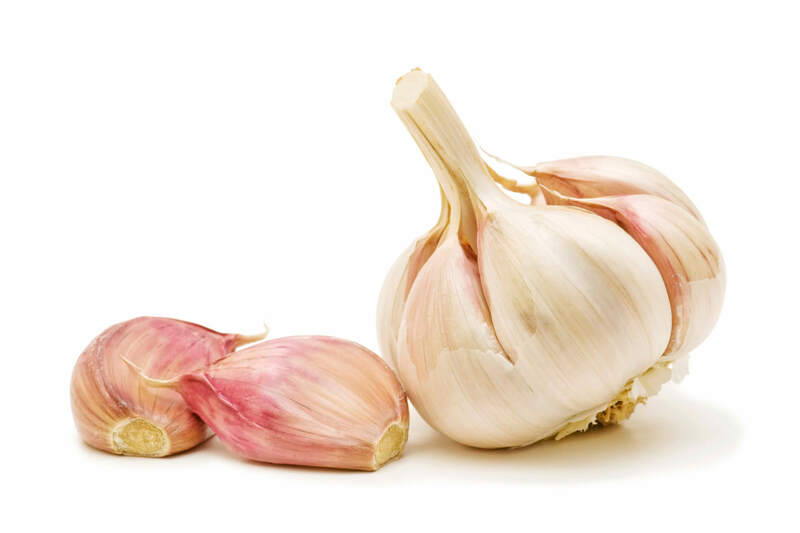 Nano soup also contains garlic, for flavour along with being a great source for manganese and vitamin B6 and copper. 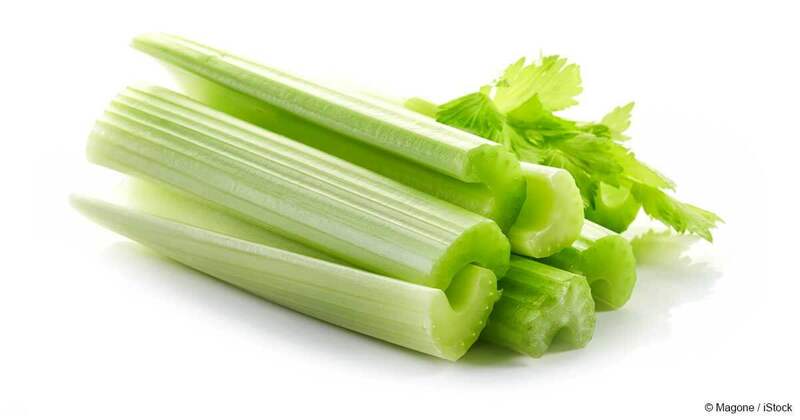 Celery is an excellent source of vitamin K and molybdenum. 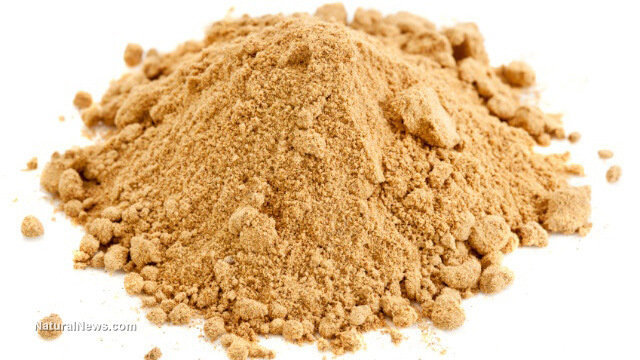 It also contains a lot of dietary fibers and folate. 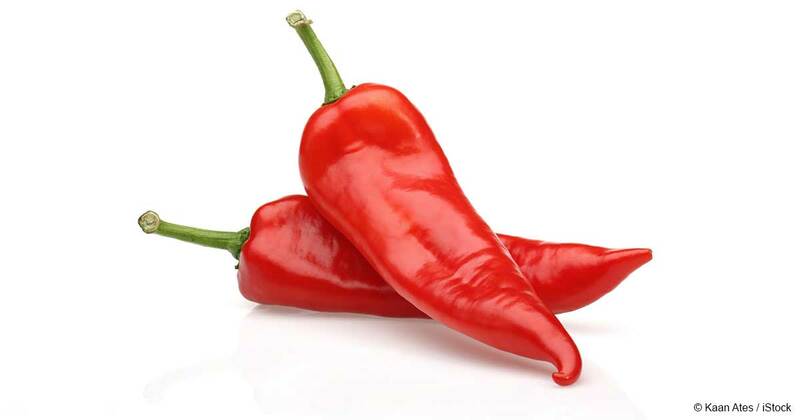 Nano Soup also contains cayenne peppers, being amazingly rich in vitamin A, vitamin C and Vitamin B-6 while also containing lots of dietary fibers, iron, protein and fats. 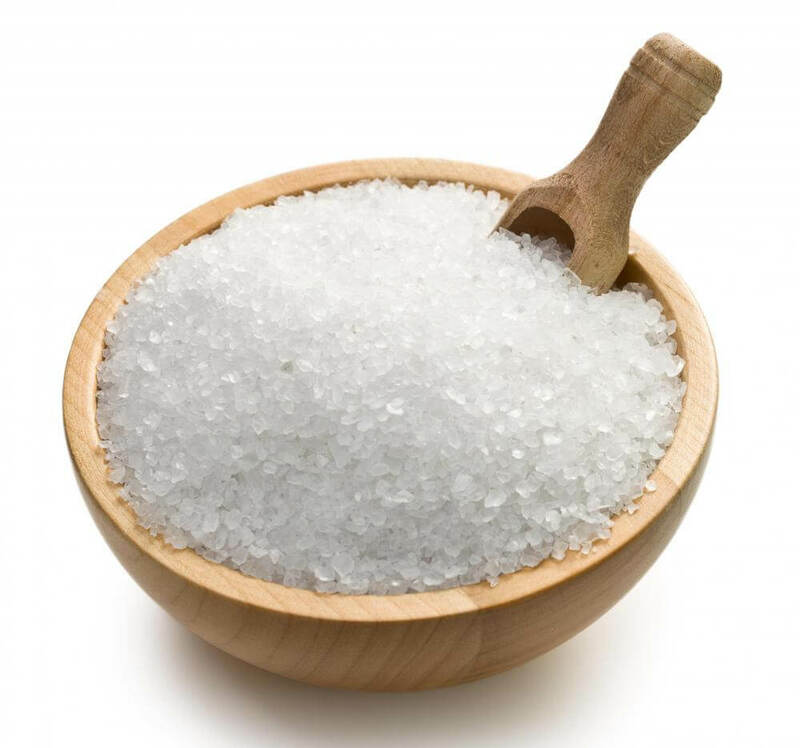 While salt is primarily used for flavouring in the Nano Soup, sodium is also healthy for people in low quantities. 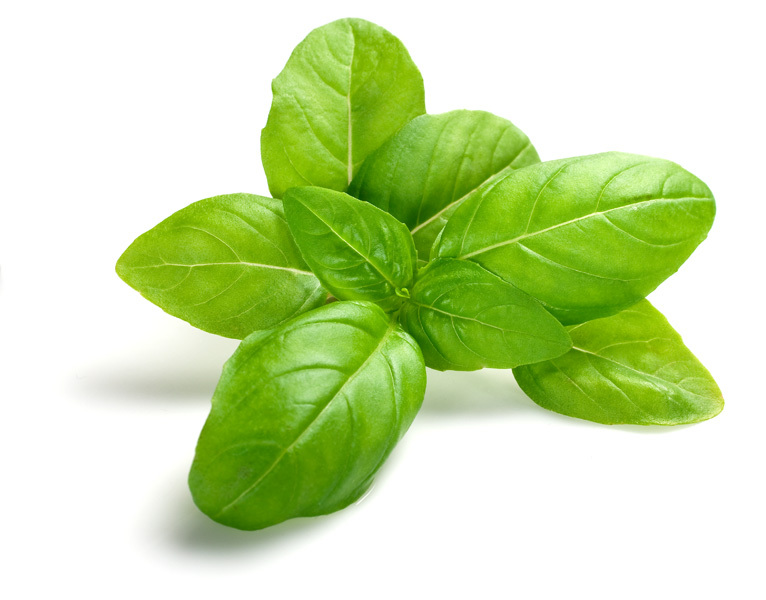 Like celery, basil is an excellent source of vitamin K, it’s also a great source for manganese, copper and vitamins A and C.
The primary source for proteins in the Nano Soup. 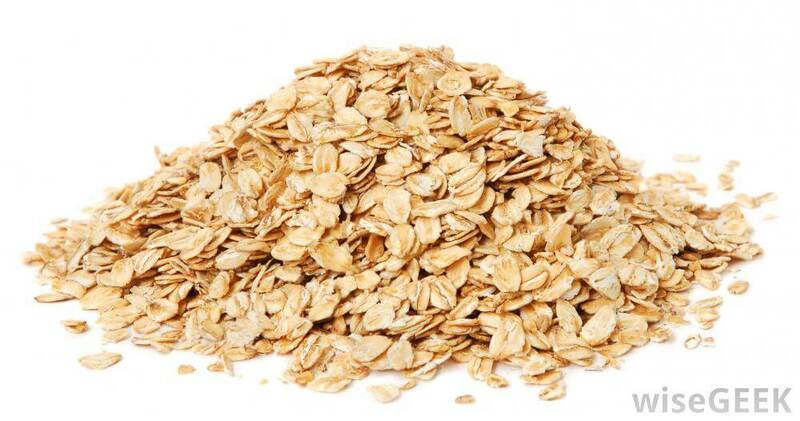 It is also a great source for vitamin D and vitamin E.
Oats are a very good source for manganese, phosphorus and molybdenum while also containing a good amount of copper, iron, magnesium, fibers and proteins.